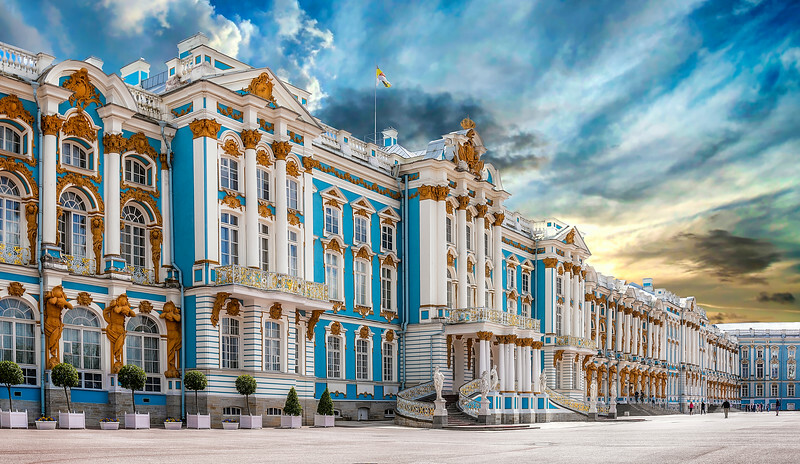 Summer palace, Winter Palace, Yusupov Palace ... there's a lot of palaces in Saint Petersburg. It's easy to get confused. Each one is stunning and surprisingly, all of them are even a bit larger than my own palace. Well, maybe the bathroom is larger than my palace. This, I believe, is the beautiful Summer Palace or Catherine Palace at Pushkin. The main entrance is through the gardens on the other side of the building. Fortunately, I was spared the long waiting lines!